CE Center - What’s New in Fenestration? 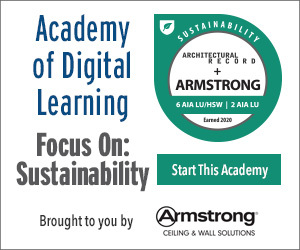 Identify energy ratings and certifications of window and fenestration systems as defined by national programs suitable for all buildings, including green building design and renovation. Assess and compare the energy performance and other attributes of different types of fenestration systems suitable for green buildings, renovations, and other designs. Investigate the significance of different fenestration components, including frame materials, glazing, and spacers, related to optimizing energy performance in green buildings. Explore different types of fenestration products that combine multiple components to achieve overall performance and aesthetic results. Fenestration includes all intentional visual or actual openings in a building envelope, particularly in exterior walls, including doors, windows, curtainwalls, storefront systems, and even operable glass walls. Its purpose is first to allow and control (by virtue of opening or operating) the flow of desired elements through the walls, such as daylight, ventilation, access, and connectivity. At the same time, since fenestration forms a part of the building enclosure, there is a need to restrict the flow of unwanted things (i.e., in the “closed” position), such as weather, water, the inefficient transfer of heat between inside and outside, or unwanted air infiltration. Since any fenestration system will have varying degrees to which all of these things can be accomplished, it becomes incumbent on architects and other design professionals to understand the realistic and steadily improving capabilities of different types of fenestration. While none are capable of matching the overall weather resistance and energy tightness of an opaque, well-sealed, and well-insulated wall, it is important to be able to assess how a particular fenestration product can help or hinder any particular building project—whether new or renovation. 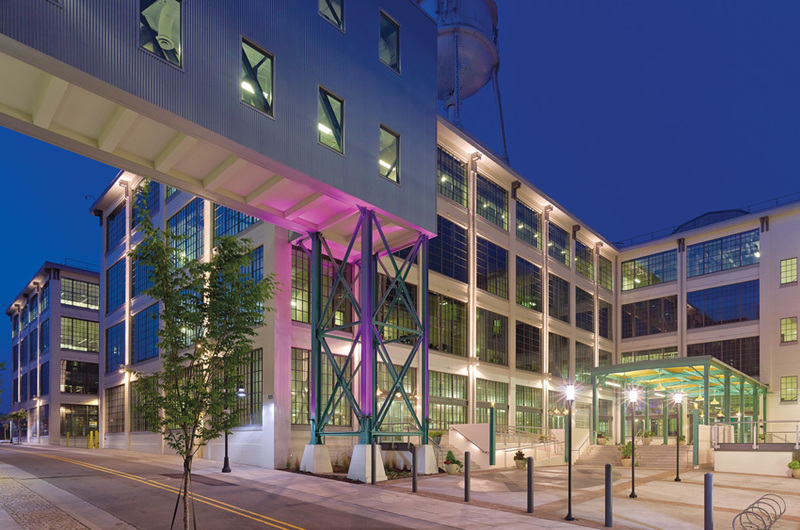 Fenestration can take many forms and be used in many building types, such as the adaptive reuse of this former tobacco factory into a high-tech research facility in Winston-Salem, North Carolina. Recognizing this need, there has been literally decades of research carried out on fenestration. A significant part of that research has been conducted or influenced by Lawrence Berkeley National Laboratory (LBNL) in Berkeley, California. A well-known building scientist, Stephen Selkowitz headed LBNL’s building technologies department from 1985 to 2011. Stephen and his colleagues have worked diligently to investigate the many variables that can affect the performance of fenestration products in terms of energy conservation in buildings, daylight, weather resistance, and indoor environmental quality. He was also the driving force behind a “plug-and-play” testing complex dubbed the Facility for Low-Energy Experiments (FLEXLab). This facility allows researchers to mock up and evaluate the performance of proposed designs with actual building components, such as cladding, windows, lighting, and mechanical systems. The test results can be used to determine the relative difference between different designs in real-world terms and be made available to others to learn from those test results. Of course, not everyone can undertake full-scale testing, so for the rest of us, there is computer modeling. Selkowitz and LBNL took on that challenge too with funding from the California Energy Commission to create the COMFEN software tool.1 This is a free resource that provides architects and engineers with the ability to assess the energy consequences of building design decisions. While the underlying simulation engines were developed over time as part of the U.S. Department of Energy’s (DOE) national windows and daylighting program, the specific design features of COMFEN were evolved over a several-year period by consulting with a series of largely California-based architectural and engineering firms. These firms provided important guidance and feedback on desirable features in the software program and then again on its functionality once the features were implemented. It is based on the premise that achieving a highly efficient or net-zero energy building cannot be done solely by improving the efficiency of the engineering systems (HVAC, lighting, equipment). It also requires consideration of the essential aspects of the design of the building including fenestration and the ability to compare different design options from the earliest phases of the design process. With all of the above in mind, we will delve into several specific types of commonly available fenestration in terms of their performance in the context of some of the latest improvements currently available. The Insulated Extreme 300 Series Performance Door is a fast, high-cycle door that offers 300,000 maintenance-free cycles and the intelligent Apex™ Smart Controller. It also features an air leakage rating of less than 0.3 cfm/ft2—meeting and exceeding ASHRAE 90.1 and IECC 2015 air leakage standards. Keep exterior temperatures where they belong with the new ArcticFront™ 45X High-Performance Storefront. By incorporating dual polyurethane thermal break points that act as a superior thermal barrier, it can produce U-factors as low as 0.19 using specially configured insulating glass units. The system excels at condensation resistance and maintaining desired internal temperatures. Graham Architectural Products’ innovative SR6700 Series window is designed to replicate the original steel windows used in many buildings thanks to a floating vent, large openings, minimal sight lines, and applied grids. The SR6700’s design is so authentic, it has helped numerous projects attain National Park Service approval. The Marvin Ultimate Casement Window is an innovative, high-performing casement window, offering expert craftsmanship, a variety of customization options, and the industry’s largest operating sizes. Designed to suit virtually any application, these state-of-the-art windows feature concealed multipoint locks, a patented exclusive wash mode, and durable hardware that ensures easy opening and smooth operation. NanaWall Systems provides a wide range of opening glass walls for commercial environments that stand up to the daily commercial grind, as well as the challenges of wind, water, extreme temperatures, forced entry, impact, and structural load.